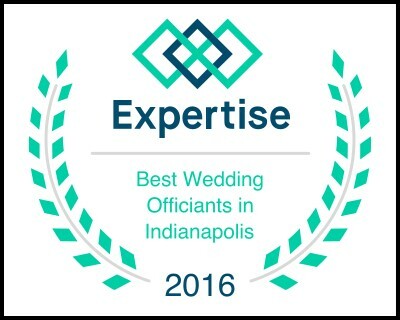 "If you are on the fence about Indy Wedding Pastors, or are in need of an officiant, this group is amazing!" "Everything we expected and MORE!" "Dennie did our wedding and it was nothing less than exceptional! We had not planned to do pre-marital counseling, but after listening to what Dennie had to say about it we decided to go ahead and do it. We are very happy about that decision and gained so much from the pre-marital counseling Dennie had to offer. Dennie worked with us on how we wanted our wedding to go and gave a couple of his own great ideas and was able to encompass everything we wanted and more in the ceremony! Overall it was a very pleasurable experience and we are more than satisfied on our decision to have Dennie give our wedding ceremony!"